Jobs Expo Dublin - Saturday 13th October, 2018, Croke Park. Are you interested in meeting leading employers who have thousands of jobs available in Dublin and abroad? Or perhaps you need career advice from professional career guidance counsellors? If so, Jobs Expo Dublin, taking place in Croke Park on Saturday, 13th October, is the perfect place to explore a range of new employment opportunities and network with industry professionals. 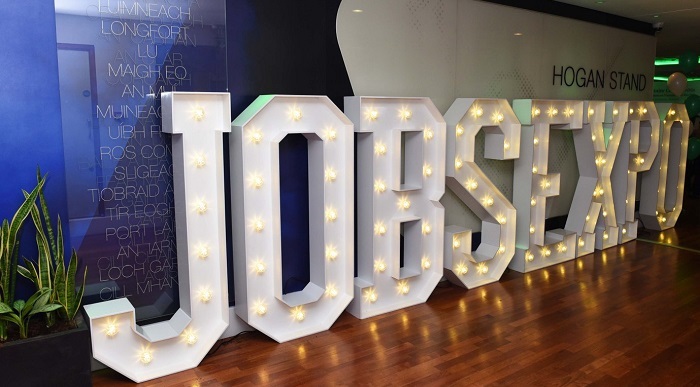 Jobs Expo Dublin is Ireland’s largest jobs, employment and careers fair. The event is aimed at putting skilled professionals in direct contact with employers who have job vacancies in Ireland and abroad. Since 2012, more than 70,000 jobseekers have attended the event, met hundreds of employers, received free professional development advice and listened to exciting seminars presented by industry insiders. The event will also feature a Career Clinic, where attendees have the chance to meet one-to-one with professional development coaches who will assist candidates in areas such as interview skills, CV presentation and changing career direction. The Canadian and Isle of Man Government will be also be seeking to recruit Irish people for thousands of positions. Additionally, there will be an opportunity to attend a range of seminars from career professionals who will cover a variety of topics including job seeking skills, such as using social media to land your dream job, interview techniques and a CV writing workshop. Other seminars include innovative talks by industry insiders on various career topics. Jobs Expo Dublin is organised by Careers Unlimited and BCS Recruitment – an Irish company which specialises in education, recruitment and career enhancement.